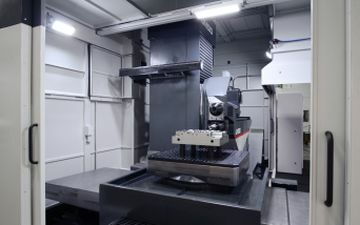 Within UNISIG's full USC-M range of drilling and machining centers for moldmakers are universal spindle-style machines, dedicated spindle types and high-dynamic machining centers. For both gundrilling and machining, USC-M universal spindle machines offer extreme versatility and fast changeovers between the two processes for the efficient production of complex mold components. According to Anthony Fettig, CEO of UNISIG Deep Hole Drilling Systems, the company engineers and manufactures its USC-M machines to improve overall part processing for a complete range of mold component applications. "We are committed to providing solutions that are aligned with the needs and goals of moldmakers," he said. "Backed by high-level knowledge and service, our machines deliver process stability and reliability to keep today's moldmakers productive and competitive."